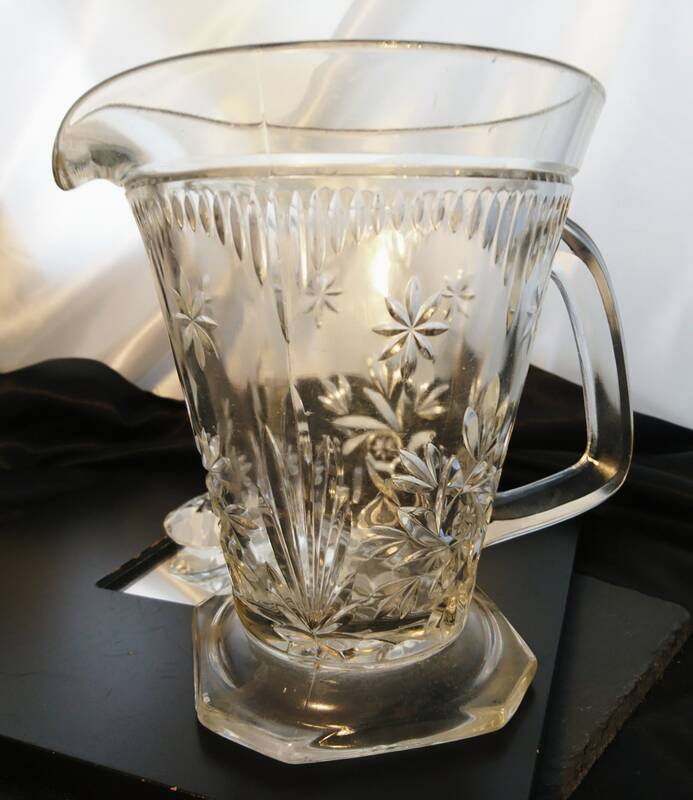 A beautiful early Victorian cut glass lemonade / water jug. 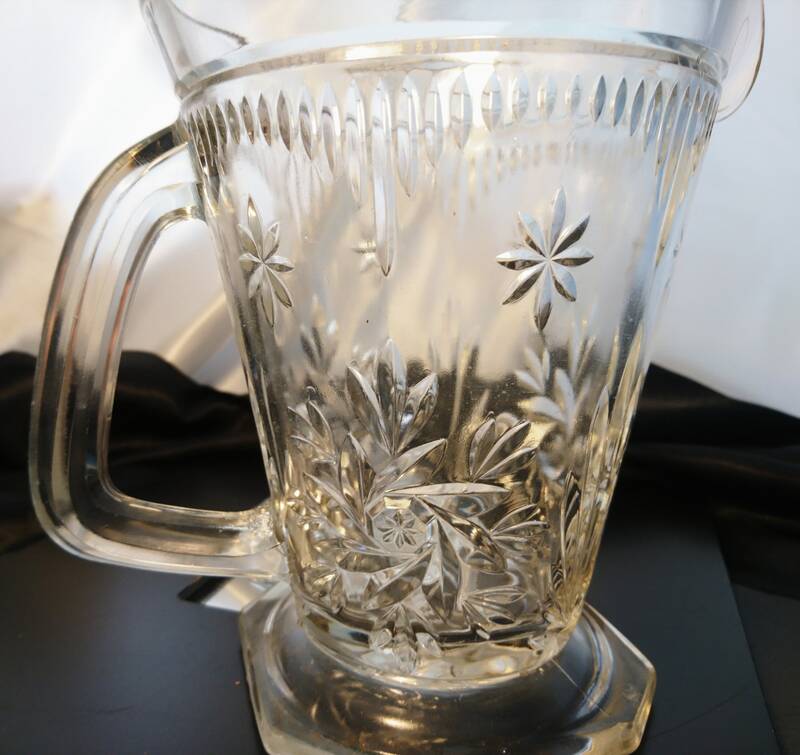 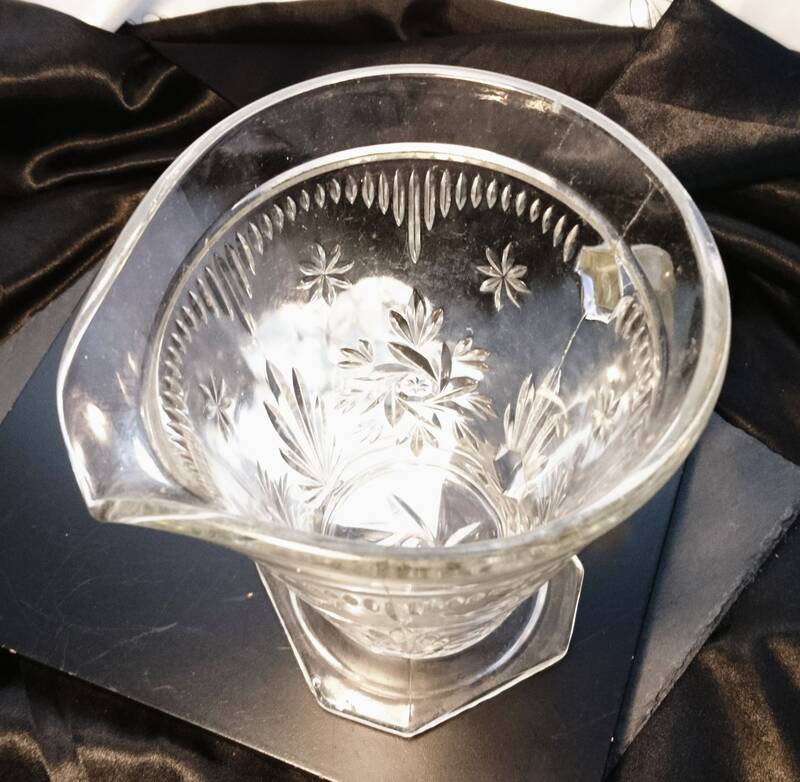 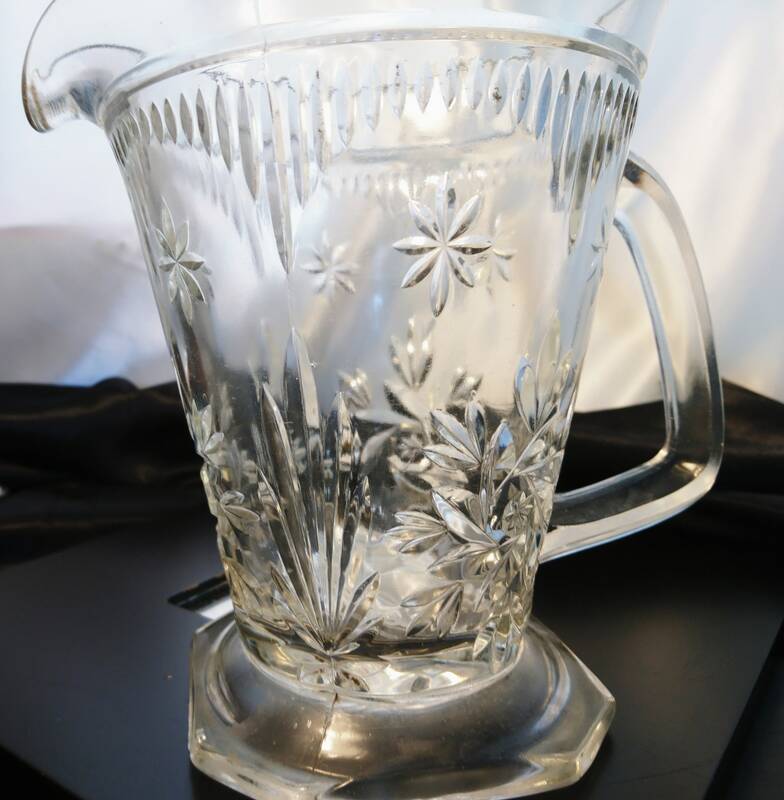 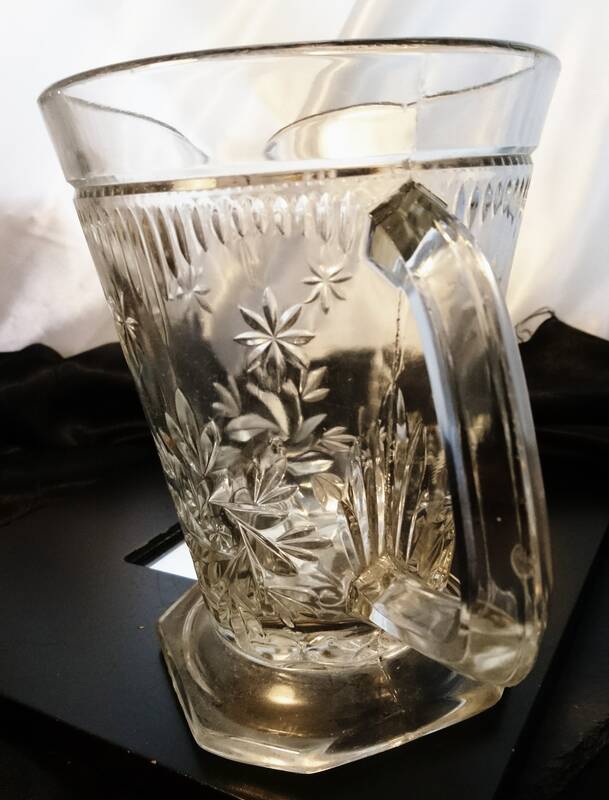 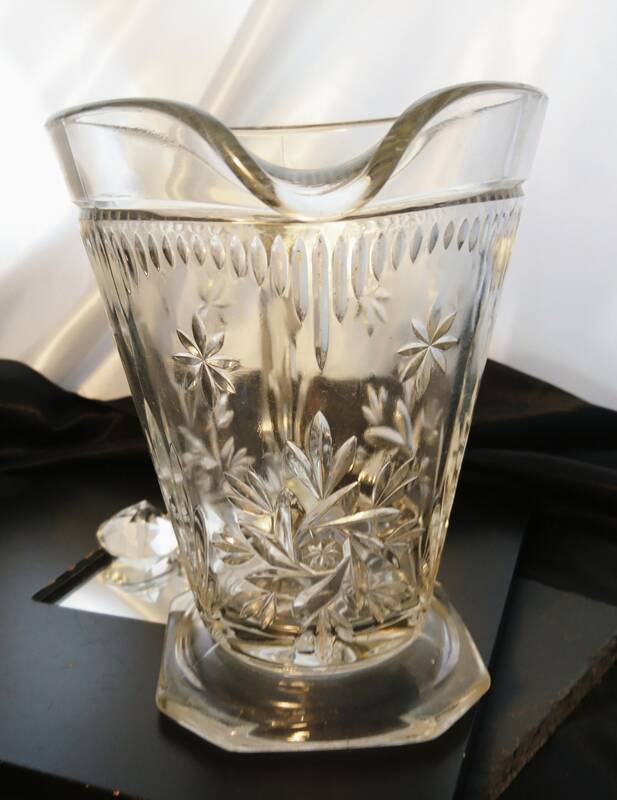 It is an early piece of heavy cut glass moulded from three pieces, it has an elaborate decorative cut design of flowers and leaves with a starburst cut base and thick solid moulded glass handle. 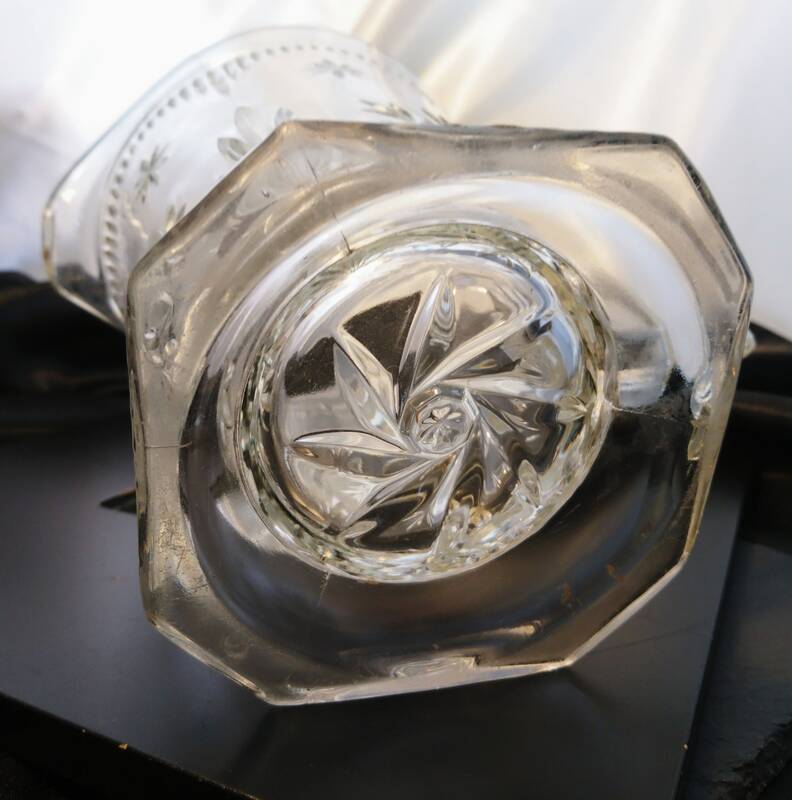 It is both rustic and delicate at the same time, beautiful light refraction in the cut, no chips or cracks, some small naturally occurring air bubbles internally. 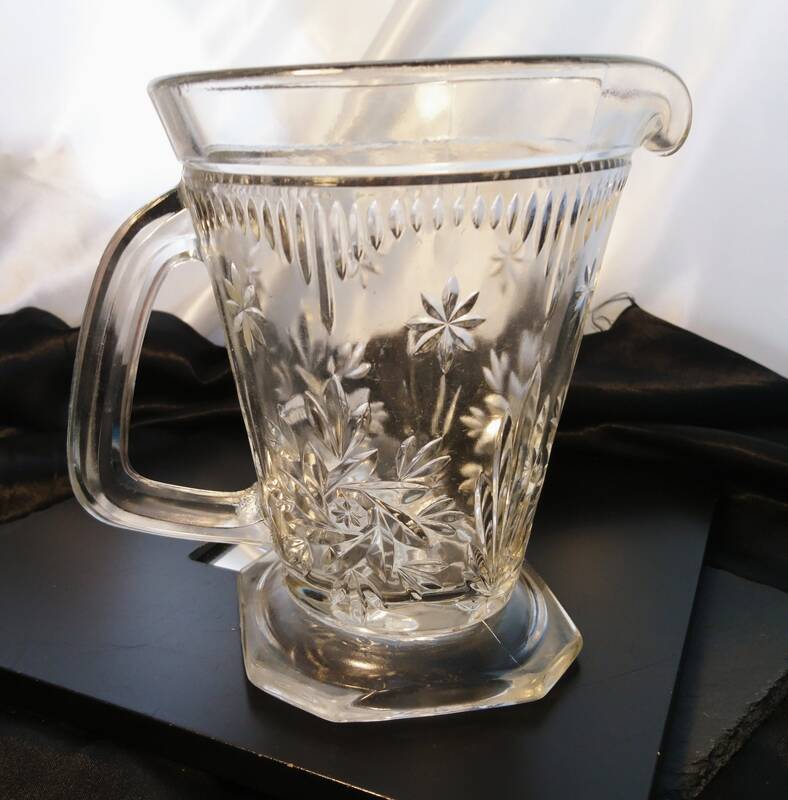 The perfect piece for serving a nice cold homemade lemonade in your sunny summer garden.